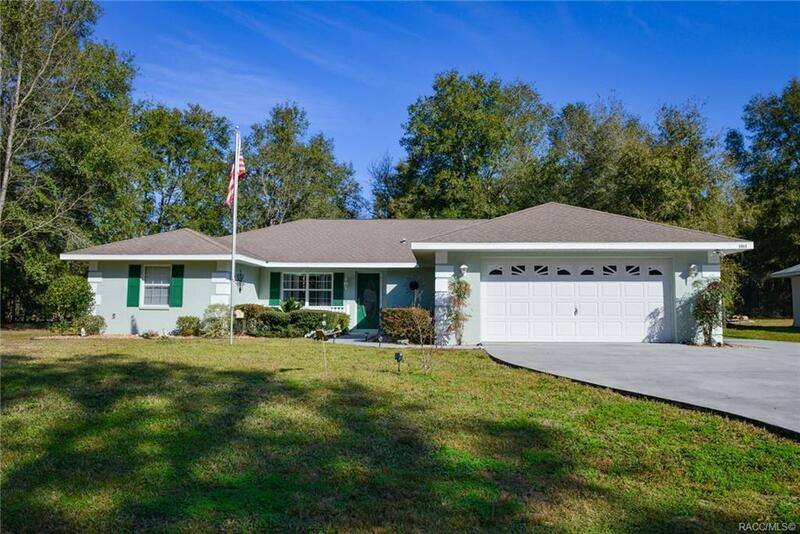 Inverness Custom Built 2006 Wheeler Pool Home with Salt System. Large Master Bedroom with Tray Ceiling and 2 Walk In Closets. Master Bath has Dual Sinks and a Walk In Shower. Open Floor Plan with Cathedral Ceiling in Living Room. Kitchen has Corian Countertops and Wood Cabinets and a Breakfast bar and opens to the Living and Dining Area. Larger extra Bedrooms and second Bath goes to the Pool. Inside Laundry Room with Laundry Tub. Large Lanai and extra room on each end of the Pool for outside dining and enjoyment. Storage Shed as well as an extra parking space on the side with a RV Hookup. This home is clean and move in ready!! !